According to a research performed by BitMEX, Bitcoin block sizes has increased over 100% since the network implemented the Segregated Witness upgrade (SegWit) back in 2017. Bitcoin had a limit on its blocks of 1 MB, but since SegWit was launched there are some blocks with 1.5 MB or 2 MB. This is great news for the Bitcoin network that suffered problems to scale. For example, it was quite common to see transactions over $20 dollars back in December 2017. Some transactions could take more than 12 hours to be processed. Clearly, Bitcoin was not working as it should. 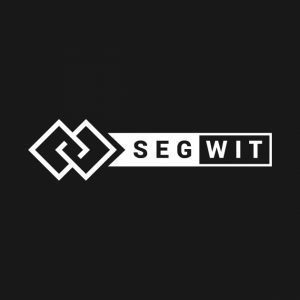 With SegWit, the network can process more transactions per block, and decrease the congestion in the mempool. This is traduced in lower fees and faster transaction times, having a positive impact in the crypto world. Of course, the adoption of Segregated Witness did not come for free. Several individuals and developers did not agree on the scalability proposal made by Segregated Witness. This is why, Bitcoin Cash (BCH) split from the original bitcoin network to offer an upgraded block size without having to implement SegWit. With the latest implementations of SegWit, Bitcoin transaction fees are only 1 satoshi per byte, the lowest possible fee ever in the Bitcoin network. For example, a big transaction of $300 million dollars paid just $0.04 dollars in transaction fees. With these low transaction fees, Bitcoin is a much cheaper solution than the ones offered by banks and other financial entities around the world. For example, there are some banks that are already working with the famous virtual currency. At the moment, Bitcoin developers are focused in implementing the Lightning Network solution, which can reduce fees to almost to zero and process millions of transactions per second. The implementation may be ready later this year or in 2019.